How do I get notified about Video Drivers? When is it necessary to update video card drivers? Let me give you an example of a situation. You log into Netflix and selected a movie you want to watch and then you choose the “Play Now” option and your screen goes black. Instead of getting a movie now you’ve got a black screen. This is the consequences of having corrupt or out of date video drivers. Now, what are you going to do? How are you going to watch your movie? You need to fix the video driver issue by search or by video card driver software download before you can watch Netflix again, and I’m here to walk you through the basics of what media card drivers are, what they do, and how to update your video drivers. What are the Video Card Drivers? How will video card driver software download help? Video card drivers are pieces of software that act as translators between your video or media card and Windows. Without the drivers, you get no video all. So if you see anything on your computer, you have some working drivers, out of date or corrupt. If your video card drivers are corrupt or out of date, you will get errors in your video rendering. This can lead to blank screens, lines in the video, or errors in applications. Most commonly black screens as you get with Netflix. Windows may be unaffected as it uses few resources to run, and thus the card doesn’t need to access its built-in RAM. How to Update Video Drivers? Is there another way to video driver software download? Now you must go to the manufacturer’s website and download the latest drivers for the video card. To do that you should look for a “Support” or “Downloads” area of the website. You will be given choices of which version of the driver you want to download, you want to choose the version that is compatible with your version of Windows, and then you want to save it to a place you will remember. That’s how you manually update a video card driver. The way it has been done for years and years, and the way that you can fall back on. How to solve an issue by video driver software download? 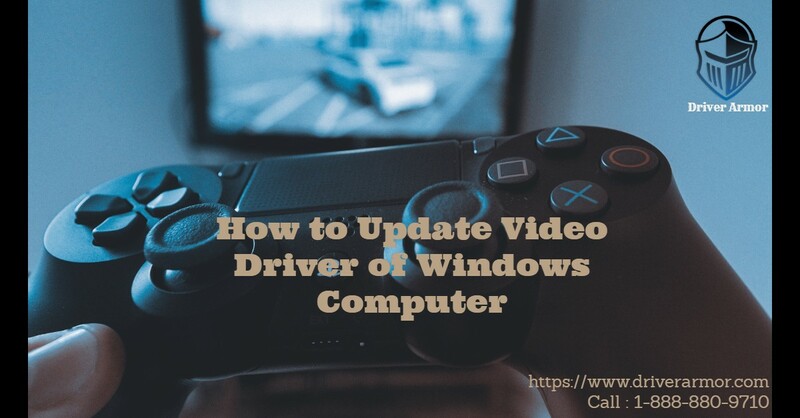 Another way for you to automatically update video card drivers through video driver software download easily. There is new software on the market called driver armor software that will scan your computer for drivers that need to be updated, scan the Internet for the latest drivers, and then install the video drivers in a matter of a few minutes time. No more going to manufacturer’s websites searching for the drivers yourself, no more going into Device Manager to update drivers one at a time as they need updates. VGA driver software download at Driver Armor is completely automatic and hassle-free. Programmers saw a need for those less tech-savvy to be able to deal with driver issues that crop up in the life of a computer user these days and came up with driver update software so you can fix video drivers, no problem. Driver Armor is guaranteed to update video drivers with the correct and most up-to-date driver for each and every device driver on your system. Read our previous blog – How to Get Latest Audio Driver for Windows?